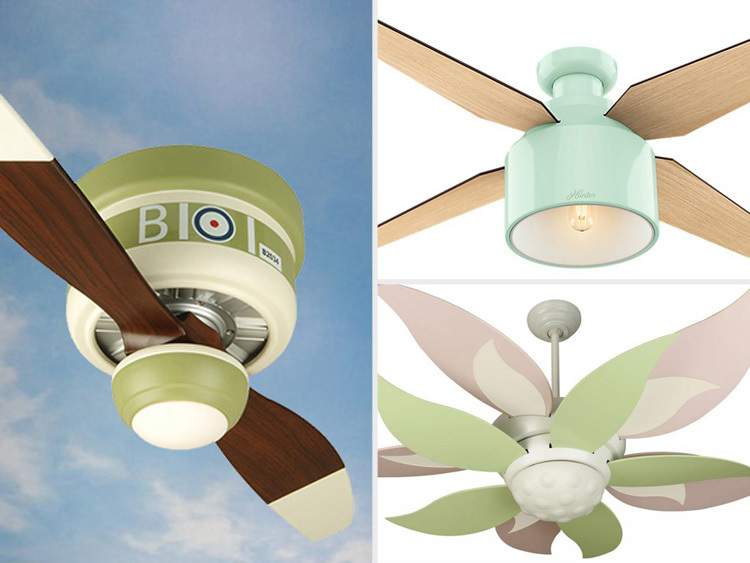 Get inspired with our curated bedroom ceiling fan lists. No matter your decor you'll be sure to find a stylish ceiling fan for your bedroom that you'll absolutely love. We cover everything from themed nursery ceiling fans to quiet ceiling fans for your master bedroom. Who makes the most quiet ceiling fan? Say goodbye to noisy distractions and "hello" to these silent ceiling fans for your bedroom. Should I put a ceiling fan in my bedroom? Ceiling fans are a simple and energy efficient way to keep cool during warmer weather and distribute heat during the colder months. A gentle breeze goes a long way in keeping you comfortable and a ceiling fan is an energy efficient way to supplement your air conditioning in the summer. Those without air conditioning will be amazed at how a bedroom ceiling fan can help with lowering your body temperature when you need it most. In the winter a bedroom ceiling fan can circulate heat and help you cut down on your heating bill. Most ceiling fans come with reversible motors and are made for year round use. Large and master bedrooms will benefit from the air circulation and cool breeze a ceiling fan has to offer. Bedroom ceiling fans allow for gentle air circulation that keeps you and your guests comfortable. If your bedroom is smaller then a bedroom ceiling fan with lights will be the perfect addition. These ceiling fans save space and energy by combining both a light fixture and a ceiling fan in one simple installation. What size ceiling fan do I need for my bedroom? Measuring your bedroom for a ceiling fan is simple and easy. We provide ceiling fan guide on how to decide on the best size ceiling fan based on your room measurements. Click on our How to Choose the Right Size Ceiling Fan guide to learn more. what type ceiling fan looks the best in a bedroom?